These are among the most sold and requested maps in business. A district map shows so much more than a format in a spreadsheet. A picture, or in this case a map can say more than a thousand words.A district map can be made up out of different types of data. 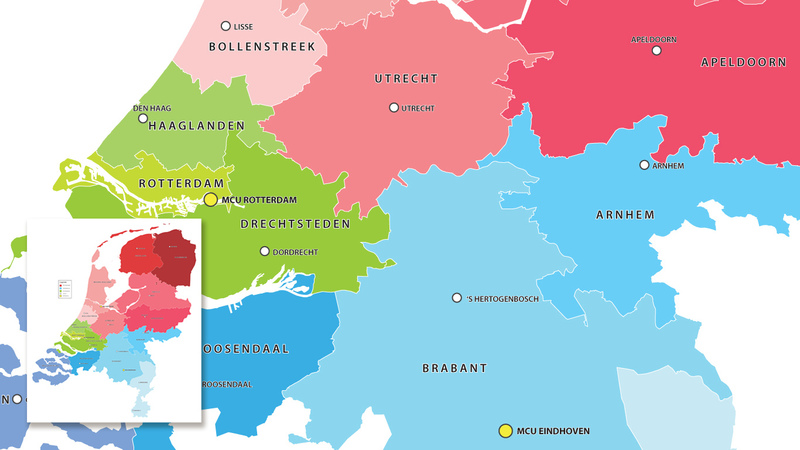 Examples of these are maps based on: postal codes, municipalities, water authorities and security regions. The most commonly used type of data are postal codes and they are often the basis. 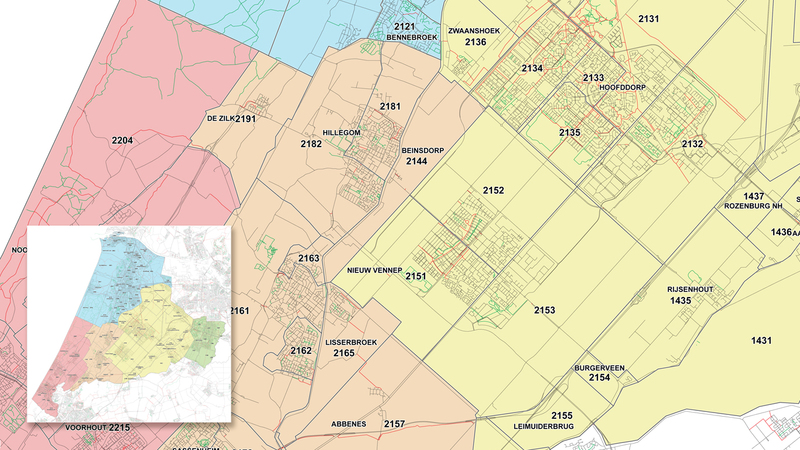 Depending on the number of districts you want to organise, a 2-, 3- or 4-digit postal code map can be used as a base. Based on the data provided, we will get started and make a district map for you, including all data that you require and desire. 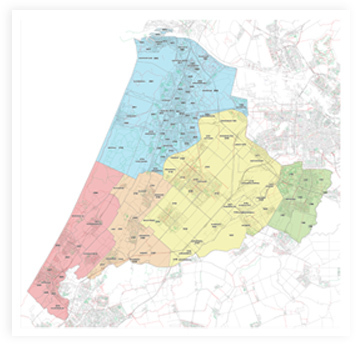 ​A district map often allows the customer to create a wall map with the digital map as a base. District maps are most effective when the displayed information is clear to the user in one glance. Overall clarity and simplicity are an ideal basis for a good district map. You can make an area, a province, a country, or even the world into a district map. Naturally, the country where one is active is usually taken as the starting point. Especially franchise companies, sales departments, logistics departments and marketing departments seek out district maps. Below are some examples of clear district maps. Do you have a district, or possibly several that you would like to compile? Our team is able to fully incorporate every single request into a map. Feel free to contact us to discuss all possibilities available, either by telephone, by email or chat.